Learning how to trade stock options could be one of the best decisions of your life. Or it could be a disaster. How that turns out for you will depend on a number of factors - and these are all up to you. Who are you, really? What kind of conditions can you cope with and how do you react to them? The answer to this lies within yourself - but whatever it is, doesn't necessarily mean that you should forget about option trading. It just means that you may need to modify the way you go about it. Are you the type of person who can follow a rigid set of rules and take losses without even blinking? Or do you panic when you see a stock price moving in a certain direction and jump onto what seems to be a continuing trend, only to find that it reverses next day? Can you emotionally handle what sometimes appears to be the irrationality of the market? If you can, then you may be better as a day trader, or short term "buy and sell calls and puts" type trader. There a some good brokers out there who charge reasonable fees - and some are better than others. It all depends on the trading style you have chosen. For example, if you decide to trade more complex strategies, then a stock options broker platform that includes dynamic analysis of positions in the form of risk graphs would be appropriate. I have found ThinkorSwim in the USA to be the best broker with this feature - and it's also free. If how to trade stock options means just buying and selling calls or puts for you, then you may not need this feature. Feel free to check out some of our options broker reviews for various countries and share your own thoughts on them if you so desire. There are advisory services that will cost you money, but the advantage and consequent profits they bring, far outweigh the financial outlay. Take MarketClub for example. They give the trader enormous advantages by providing services such as SmartScan, Trade Triangle Technology, Email alerts and more. This service would be particularly useful for options traders with a simple "buy and sell calls and puts for profit" approach. But for the more sophisticated trader, they help you identify range trading stocks, or stock with impending breakout patterns. You can get a 30 day trial with MarketClub and unlimited access to all their services for only $8.95. 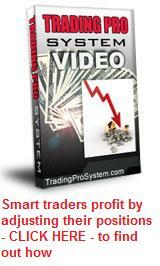 Learning how to trade stock options can be one of the most exciting and profitable enterprises you'll ever undertake. But I wouldn't suggest you do it on your own. Surround yourself with the best tools, the best advice and a good proven system and you're almost certain to realize financial freedom within a short time.